These apartments are located in La Daille, a satellite village of Val d'Isère. This popular residence enjoys a very sunny position at the foot of the mountain, opposite the La Daille shopping arcade. Entirely refurbished, the apartments are comfortable and welcoming. Balconies offer uninterrupted views over the slopes or the Val d’Isère valley and the Funival funicular is just 200m away. In the morning, it's a short walk to the La Daille gondola and Etroits chairlift, and a few minutes' further on to the Funival funicular. At the end of your ski day, you've got a choice of home runs – take the Triffolet or Coupe de Monde red runs to the bottom of the gondola, or the Diebold blue run or Verte green run to the bottom of the funicular. There's a few restaurants and shops in La Daille itself, but most of the action is down the road in Val d'Isère proper - hop on a bus to access more lifts, shops and restaurants. 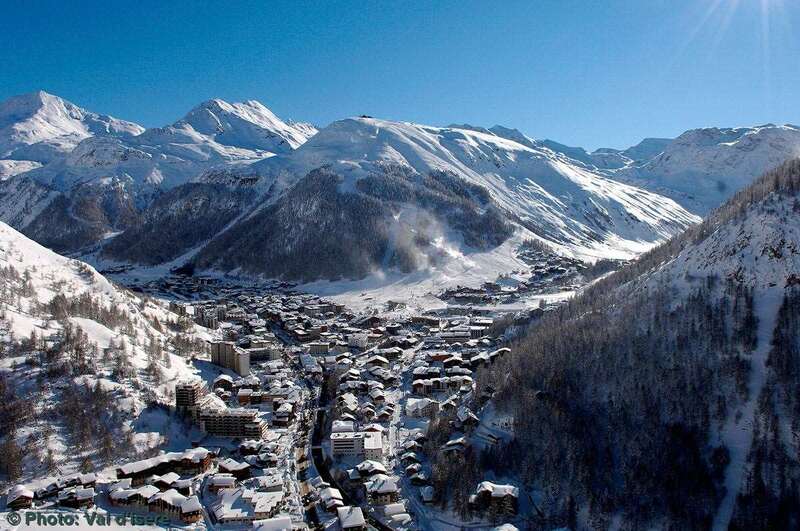 Located in the La Daille area of Val d'Isère. Only a 2-minute walk to the Funival funicular and the slopes. A great value option in the fantastic Espace Killy ski area. Free and reduced prices for kids 2-15 years sharing with 2 adults (supplements apply). All apartments have a kitchenette with four hobs, microwave grill, coffee machine, kettle, fridge and dishwasher, plus a TV and extra charge for WiFi. Towels, end-of-stay cleaning (excluding kitchen) and local taxes are included. Type D apartment (32m²) - sleeps 2-5: twin beds (usually bunk beds), living area with double sofa bed and pull-out bed, private bath, WC and balcony. Type F apartment (45-50m²) - sleeps 2-7: double bed, twin beds (usually bunk beds), living area with two single sofa beds and one pull-out bed, private bath and shower, WC and balcony. A change of bed linen is available at a supplement on request. The lift is activated by key fob. Self Catering. Extra charge for bakery delivery service (items must be ordered at reception).